It is nearly the week-end, that means more time with your family. 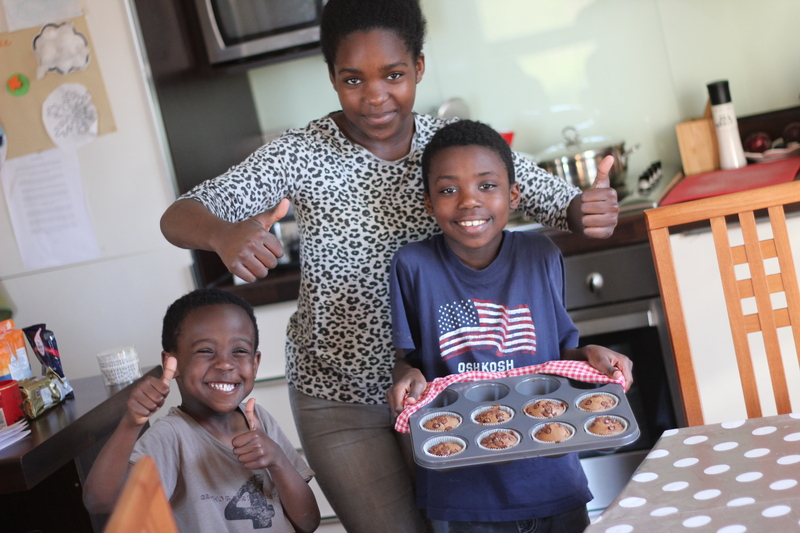 Why not have fun with your kids making a home made snack? Not only they will eat something they have created themselves, but you can also include some learning like the ingredients, number…etc, depending on their age. I have kids from 3 to 14, so everyone can learn something. You also encourage them when they will be adults to prepare their own foods. The recipe I share with you today came from my son’s cooking class. 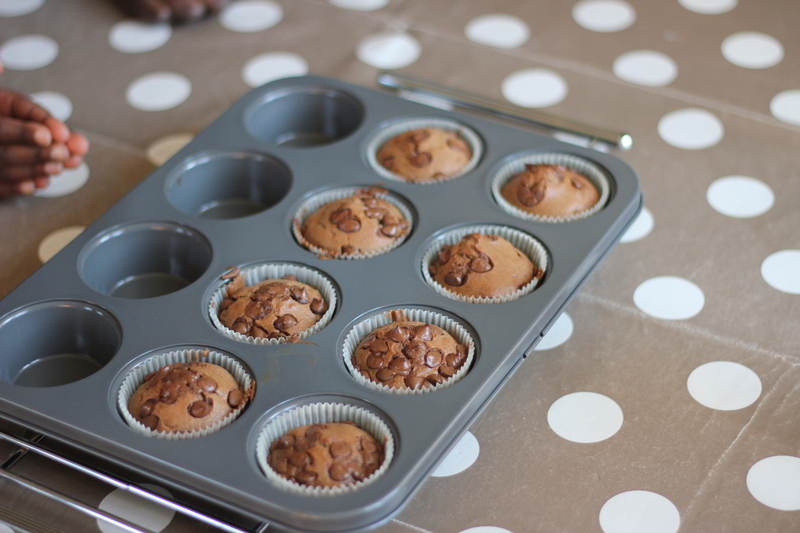 My children sometimes help me in the kitchen, but Yanis really enjoys cooking, and he has the chance to have different after school classes in his school, for the last term, he chose cooking class and a few days ago learned how to make these muffins. We decided that he is going to make them again for us at home. They are very easy to make for kids, with basic ingredients, and taste really good, I think the parents ate more than kiddos. Anyway let’s go for the simple recipe, and even if you don’t have children, feel free to taste them. You also need: mixing bowl, wooden spoon, cupcakes holders, baking tray. 4/ Next crack in the eggs and mix until it reaches a creamy consistency with no lumps. 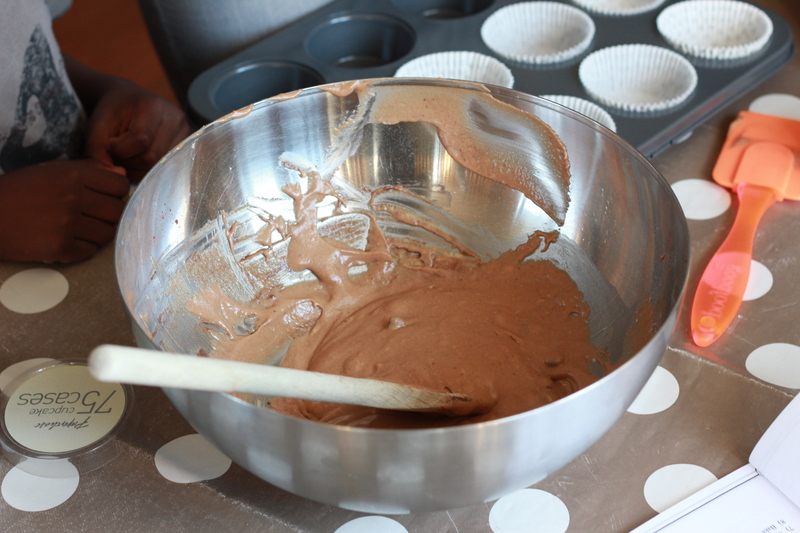 5/ Add in the cocoa powder and mix. 8/ Remove from the oven, let them cool 5 minutes in the baking tray, then let them cool completely on the cooling rack before enjoying. Thank you Yaya for the lovely snack. 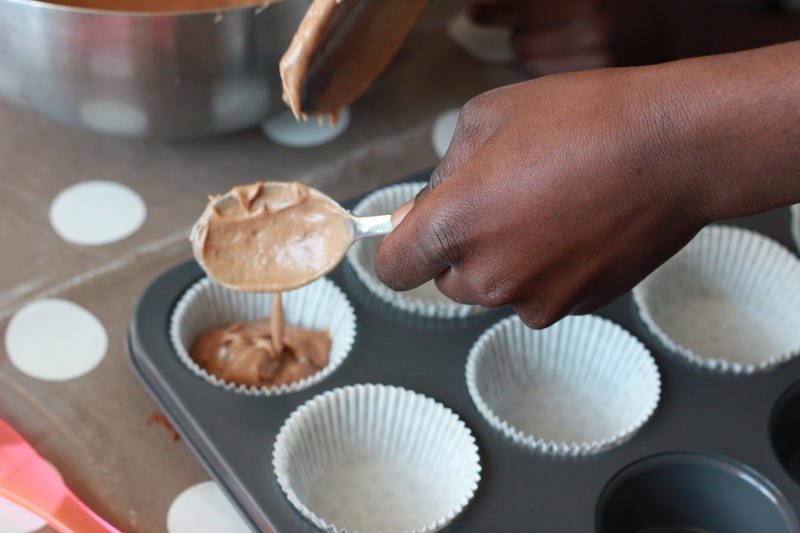 I would like to know if you are baking with your children? What are your kid’s favourite recipes?